Sometimes, when the same stars / actors do two different shows, it turns out to be a little overdose and monotonous as we got to see the similar type of punches. But, it is not the case with Krushna and Bharti. They can improvise and devise new performances to suit the demand. Yesterday, CNB episode was splendid which featured Alia Bhatt, Fawad Khan, Sidharth Malhotra who came to promote their upcoming movie Kapoor and Sons. Today’s episode of CNL was funny and humorous too. Let’s catch up the highlights of today’s part. Today, the show started with a stand-up performance by Krushna and team which was followed by the romantic entry of Swaragini TV serial’s Tejaswi Prakasha aka Ragini and Namish Taneja aka Lakshya. Both of them entertained the audience. 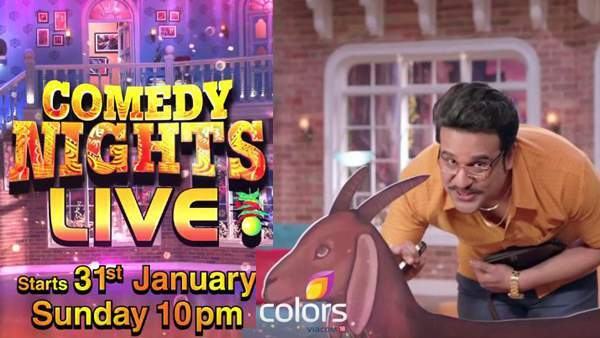 Bharti and Krushna can be appreciated for bringing in new ideas. After that Ragini and Lakshya brought up their skills and inputs. The actress showcased her singing skills. After that, it again came to lots of jokes and dance. It somewhat reminded of Kapil Sharma’s former show when one of the characters tried to copy the Dadi ki pappi scene. t was then followed by more such funny incidents throughout the show. Punjabi actor and singer Diljit Dosanjh came to promote his upcoming movie ‘Ambarsariya’ along with star cast Lauren Gottlieb and two other actresses. So many errors in this- headline says Swara and Lakshya, but it was Ragini and Lakshya. Article says Varun Kapoor- he plays Sanskar not Lakshya. Thank you for correcting us.